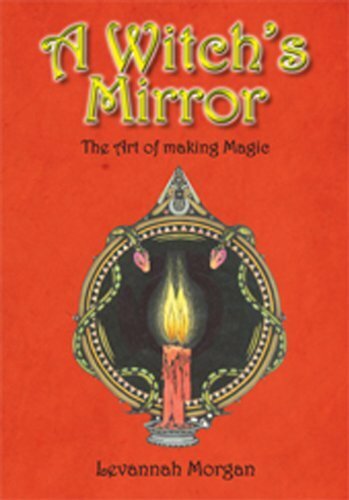 This week we talk with author Levannah Morgan who has just released her newest book which is entitled "A Witch's Mirror - The Art of Making Magic". Levannah reveals some of the details of secret rituals in which she has taken part, as well as describing beautifully her experiences with practical witchcraft - a type of witchcraft which can be seen as more personal and less ritualistic. She discusses special magic having to do with experiencing the sea and its tides as an alternative - and in fact an opposite - kind of meditation, while embracing and exalting the senses to a climax of perception. Cecil Williamson and Hereward Wake are discussed at length, especially in their function as mentors to Levannah, and the author recounts anecdotes, spells, and workings she experienced in their presence. Levannah Morgan is a former chair of The Museum of Witchcraft in Boscastle, Cornwall, England, which was founded by Cecil Williamson, beginning with a vast collection of paraphernalia he had amassed.